Historic Pennsylvania Amusement Parks ~ The History Girl! Warm weather offers us many inexpensive opportunities to get out and have a good time. One of them includes visiting an amusement park. Pennsylvania has ten historic amusement parks, many of which originated as late nineteenth century trolley parks. These parks were created by trolley companies in an effort to boost Sunday ridership by allowing riders to picnic at these amusement parks. One of the largest built at that time was Willow Grove Park, which was located on the spot of present-day Willow Grove Park, just north of Philadelphia. The trolley terminated at that spot and people would spend a lazy afternoon riding roller coasters and getting away from city life for a few hours. The growth of automobile ownership enabled people to drive to varying destinations and not be limited by the route of the trolley. As a result, many of these trolley parks disappeared. At least sixty trolley parks once graced the State of Pennsylvania but today only ten remain. 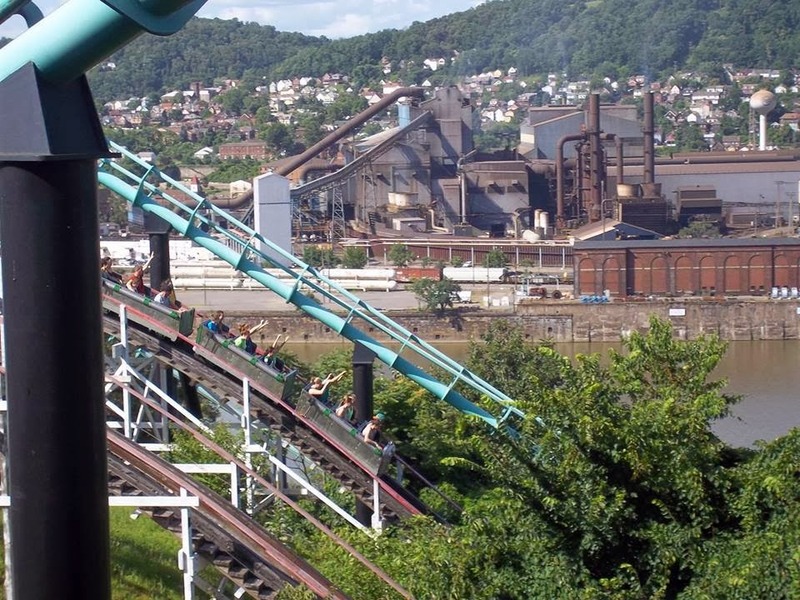 These ten are among the best in the country and include Knoebels in Elysburg, Kennywood in West Mifflin, near Pittsburgh, Waldameer in Erie, Lakemont Park in Altoona, Hersheypark in Hershey, Dorney Park in Allentown, Conneaut Lake Park, forty-five minutes south of Erie, DelGrosso’s near Altoona, Dutch Wonderland in Lancaster and Idlewild in Ligonier, forty-five minutes southeast of Pittsburgh. This is the beautiful 1924 DelGrosso’s carousel. DelGrosso’s park is owned by the same folks that make DelGrosso’s spaghetti sauces and it is located just north of Altoona, Pennsylvania. These parks all have unique and classic rides, including one-of-a-kind wooden roller coasters, beautiful century old carousels, and world class modern rides. These parks add something special to the communities they serve. We can see the voids created in communities when many of these parks were torn down and replaced by shopping centers, car dealerships, and mixed-use developments. Developers and government leaders should think twice before they tear down amusement parks, roller rinks, bowling alleys, and other places that not only provide a slice of Americana, but also a place in which folks from all walks of life can go and just enjoy themselves. Those who ride a coaster for a few minutes can completely forget about all of their grudges and worries. Kennywood, near Pittsburgh, has this beautiful Dentzel Carousel. Dentzel, located in Philadelphia and employed German immigrants, produced some of the most beautiful carousels ever made. Kennywood has three wild wooden coasters that date to the 1920s, including the Thunderbolt in the lower half of the above photo. The coaster was renovated into its current configuration in 1967. The park also has three wonderful modern coasters. Four of the park’s coasters plummet down the cliffs on which the park was built upon. The sea foam colored coaster in the above photo plummets 228 feet down a giant cliff. Across the river you can see the Edgar Thomson Steel Works. During the French and Indian War, a battle was fought on the land in which the steel plant was built upon. During the battle, British General Braddock and a young George Washington were badly defeated. Braddock was mortally wounded and crossed the river at this point in defeat. After the crossing, they landed on the present-day site of the park. The battlefield was later used as a Whiskey Rebellion rallying point. In 1892, the steel workers, upset about working conditions, joined strikers down-river at the former Homestead Steel Works. Ten people would die in these strikes and thousands were injured when steel mogul Andrew Carnegie summoned the Pinkerton guards to break the strike during this pivotal time in labor history. The French and Indian War, the Whiskey Rebellion and the labor strikes demonstrate the history of unrest in the area. Since Kennywood opened as a trolley park in 1898, peace has been brought to the area. This peace shows the power that amusement parks can contribute to bringing together communities. In addition to coasters and a beautiful carousel, the park includes several rare or last-of-their-kind rides including a Tumblebug named “The Turtle” and a flying coaster named the Kangaroo. 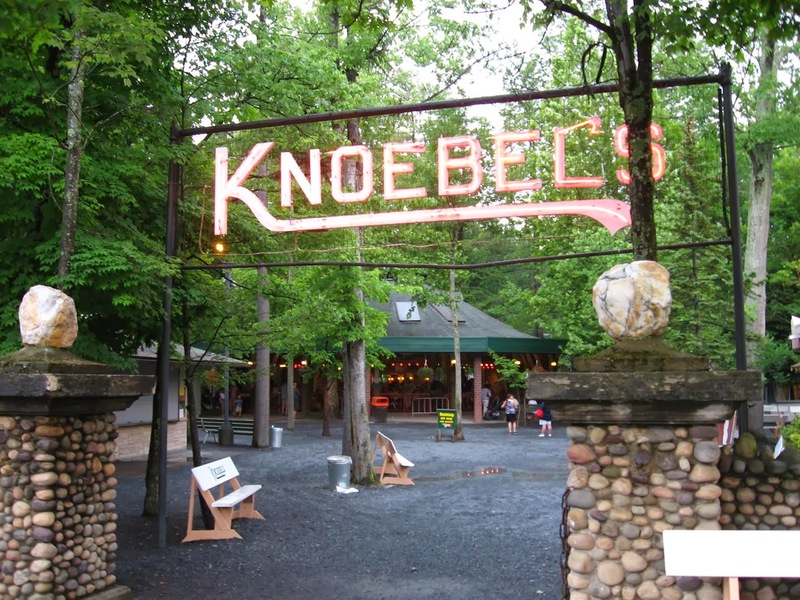 Knoebels Amusement Park in Elysburg, central Pennsylvania, is the home to the Phoenix Roller Coaster. In 1948, this coaster was built in Texas by the Philadelphia Toboggan Company. The ride was moved piece by piece from Texas to Pennsylvania in 1985. This coaster is one of the few unanimous favorites in the roller coaster community. The Philadelphia Toboggan Company was founded in 1902 in Philadelphia and is now located in Hatfield, Pennsylvania. Today, the company exclusively makes and revitalizes roller coaster trains. In addition to the world famous Phoenix, Knoebels is home to two historic coasters rebuilt from original blueprints: the Twister and the Flying Turns. The Flying Turns is a type of coaster that had not operated in over forty years. The coaster is essentially a wooden bobsled coaster. The park is also home to several rare or last of their kind rides including the looper and the flyers. Waldameer Park in Erie is home to two wooden roller coasters including one of the very best modern wooden roller coasters, the Ravine Flyer II. The coaster sports two Philadelphia Toboggan Company trains and it flies on a bridge crossing a four lane highway. This is one of the wildest rides ever made, containing giant drops, a twisted layout and tons of out-of-your-seat airtime on a track layout that best utilizes the very large ravine in which it is located on. Throughout the ride you can see beautiful Lake Erie and Presque Isle State Park. The bay near Presque Isle was strategically utilized to save ships during naval battles fought on Lake Erie during the War of 1812. Today, it is quite peaceful at Presque Isle and it is home to beautiful beaches, a great loop trail, and more. This region is wonderful and I highly recommend making the trip to check it out. 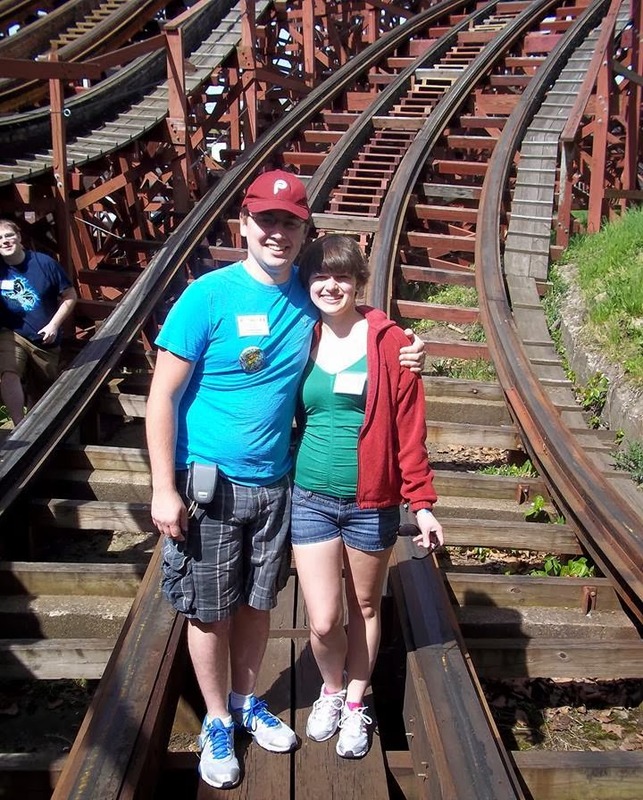 Lakemont Park in Altoona boasts many classic rides including the world’s oldest wooden roller coaster and North America's last surviving side friction roller coaster, Leap-the-Dips. It was built in 1902 by the E. Joy Morris Company and is the white coaster in the above photo. The towering spiral coaster is the Toboggan, a fun and rare ride. The park has another wood coaster, the Skyliner, which was relocated to the park piece-by-piece from upstate New York. These two guys, Lenny and Joe, are dedicated to helping restore and preserve an old amusement park named Conneaut Lake Park that is located about forty-five minutes south of Erie and an hour and a half north of Pittsburgh. Conneaut opened in 1892 as Exposition Park. The park was closed from 2007 to 2009 and these two individuals have worked feverishly to restore the park since it reopened in 2009. They are doing a wonderful job and have restored their 1938 classic Blue Streak roller coaster. Unfortunately, this park is facing financial troubles once again and many volunteers, including myself, have devoted time and funds to continue the park's restoration. American Coaster Enthusiasts (ACE) of which I recently joined, is dedicated to the cause of restoring the park. The park includes only one of two remaining tumblebugs in addition to the great Blue Streak and a Dark Ride named Devil’s Den. Last summer, before I became injured and developed a chronic condition, I climbed the lift of the Devil’s Den and helped with the restoration efforts. Because of the park's current financial situation, it is facing closure once again. My book is dedicated to raising awareness for all of the great parks in Pennsylvania, in addition to helping support Conneaut Lake by putting a portion of the book’s proceeds toward the park. If you purchase one of our books online at www.coastertalknobszone.com, we will send you the ticket of your choice, either a free ticket to ride the world’s oldest coaster, Lakemont’s Leap-the-Dips or Conneaut Lake’s Blue Streak. A portion of the book's proceeds go to support this park. When you make your purchase, leave a note on whether you would like a Leap-the-Dips ticket or a Blue Streak ticket. Hersheypark in Hershey has a great selection of rides, including the above coaster, the Wildcat and Lightning Racers. 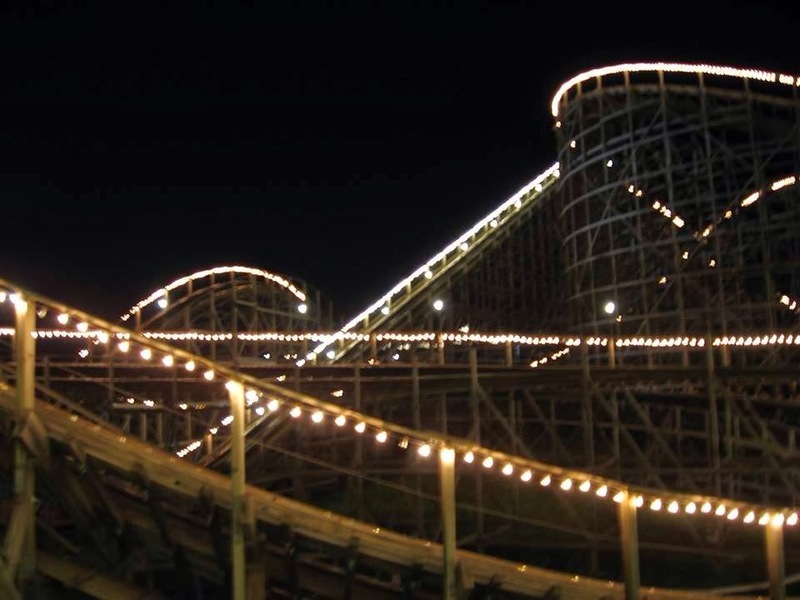 These modern wooden roller coasters were created by Great Coasters International of Pennsylvania. Dutch Wonderland in Lancaster has a great selection of family rides including my first coaster, the Kingdom Coaster. This coaster was built in 1992 and was the start of a successful career for coaster designer Mike Boodley. The Rollo Coaster at Idlewild is the first coaster for many Western Pennsylvanians, but do not let that fool you, this twenty-seven foot tall and 900 foot long ride is powerful. This coaster was built in 1938 by legendary Philadelphia Toboggan Company designer Herbert Schmeck. He was able to create this ride utilizing the small cliff in the park with wood that was harvested from the park grounds. By doing this, he was able to create a great ride at minimal cost to the park. The park also has a spectacular Philadelphia Toboggan Company carousel that spent a single season in Atlantic City before being moved to Idlewild in 1931. It was the last carousel to be built by the Philadelphia Toboggan Company. 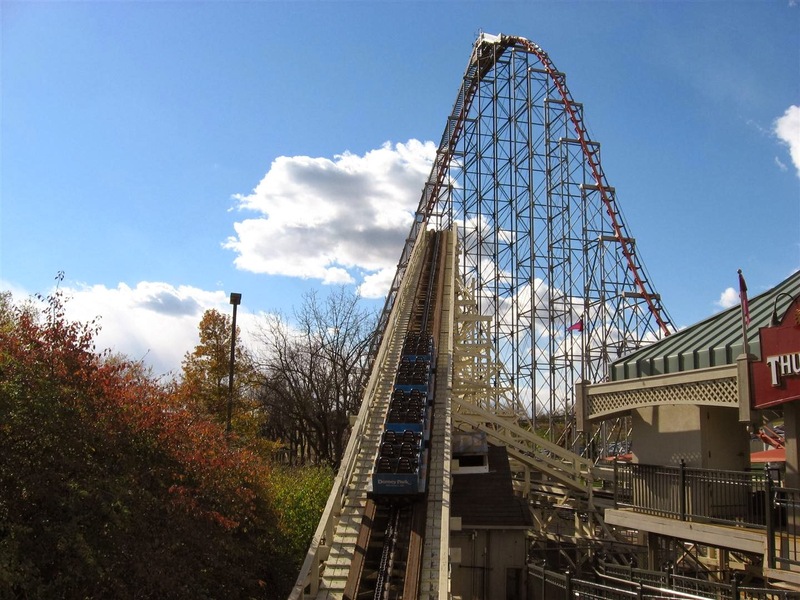 In Allentown, Dorney Park’s Thunderhawk spent most of its ninety-one year life known as simply “The Coaster.” This is another design by the legendary Herbert Schmeck. The giant steel coaster next to it is Steel Force. When the coaster was built in 1997, it was the longest, tallest, and fastest roller coaster on the East Coast. Today, it only retains the record of longest coaster on the East Coast. It is so important to look at our amusement parks as a place for communities to get together and have fun. If you enjoy roller coasters, historic sites, and interesting places, Pennsylvania is a great getaway to experience this and much more! In addition to amusement parks, our book covers places like Frank Lloyd Wright’s Fallingwater, Kinzua Bridge, and the Yuengling Brewery. Pennsylvania has seventeen wooden roller coasters, more than any other state, and some of the most spectacular carousels. Our book provides a blueprint to plan your trip to see all of the great and historic parks in the state, plus many interesting attractions. Be sure to pick up a copy of our book at www.coastertalknobszone.com and include a note on whether you would like a free Conneaut Lake Blue Streak or Lakemont Leap-the-Dips ticket. A portion of the proceeds from the book go to support those parks. David Witoslawski and Brittany Howe are soon-to-be-married University of Pittsburgh graduates. History and amusement parks are two of their favorite pastimes. They have traveled across the United States to different parks and call Pittsburgh, Pennsylvania home after growing up in the Lehigh Valley of Pennsylvania and Ithaca, New York, respectively. David is a Social Studies teacher who had to put his career aside for a while after he developed a chronic nerve condition, and has taken up writing as a hobby in the meantime. David and Brittany run a coaster discussion page at www.facebook.com/coastertalknobszone and a blog www.coastertalknobszone.com. 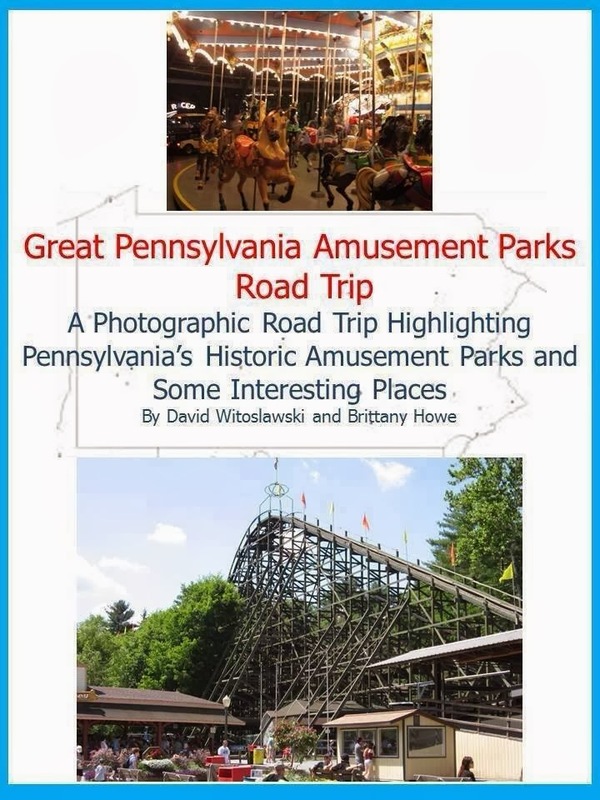 In 2013 they co-authored Great Pennsylvania Amusement Parks Road Trip as part travelogue, part historical narrative, and part interview piece with the individuals that have preserved and advanced these great parks. The book is available from their web site and at many independent bookstores including the Moravian Book Shop in Bethlehem, Pennsylvania, Transit News in Harrisburg, Pennsylvania, the Bookstore on Fifth in Pittsburgh, Pennsylvania, and Buffalo Street Books in Ithaca, New York. A review of the book in Allentown’s "Morning Call" newspaper is available here.